On 29-30 September, 2015 will be held in Tunis the training sessions “Financial instruments for distributed solar energy technologies”, organised by the Italian Ministry for the Environment, Land and Sea (IMELS) and Studiare Sviluppo in collaboration with the Tunisian National Agency for Energy Conservation (ANME). The training sessions on “Financial instruments for distributed solar energy technologies” aim at strengthening knowledge and capacity building in a target group including economical operators, public administration officers, banks and financial institutes. MED-DESIRE Project is expecting significant results with this initiative, such as the definition and implementation of a local enabling environment needed for the promotion of the solar technologies. The course is structured into two training days, the first one introduces to financial mechanisms: ANME representatives will analyse the Tunisian energy context and the MED-DESIRE experts will speak about the project, explaining the issue of climate finance, support mechanisms benchmarking and best practices, presenting global figures of renewable energy finance. 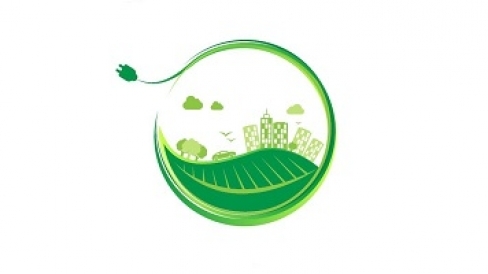 ENEA – the Italian National Agency for New Technologies, Energy and Sustainable Economic Development will also convey the Italian experience on financial schemes to support renewable energy and energy efficiency. The second day is far more specific, it will focus on climate and renewable energy finance (business model, financing needs, risk assessment, financing structure), solar PV development in Tunisia and examine case studies, giving the Companies’perspective. “Financial instruments for distributed solar energy technologies” is part of the Med-Desire training sessions promoted by IMELS and Studiare Sviluppo which will take place in Tunisia, Lebanon and Egypt in collaboration with the Tunisian National Agency for Energy Conservation (ANME), the Lebanese Center for Energy Conservation (LCEC) and the Egyptian New and Renewable Energy Authority (NREA), within the Project MED-DESIRE, to increase energy efficiency and distributed solar energy technology in the Mediterranean Partner Countries. They will be set into 6 training courses, two sessions per Country devoted respectively to financial instruments for distributed solar technology market support and to innovative regulatory instruments for local support to distributed solar technology, namely Solar Ordinances, scheduled from September to November 2015.